An armoire is an ideal way to supplement storage space in your child’s room. And the child armoires from Brandenberry do so with style and upscale appeal. 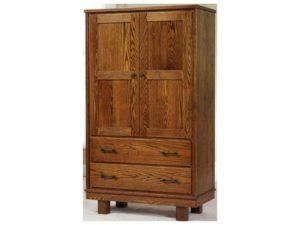 Plus, Amish artisans build each armoire from solid wood. So they’re sturdier and longer lasting than any bargain substitute. A sleek wood finish marks the Carlisle Children’s Armoire. Space and durability meet in the Contempo Children’s Armoire. 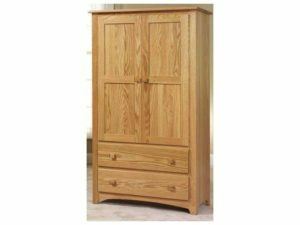 A sleek wood finish marks the Economy Children’s Armoire. Storage and design meet in the Mission Children’s Armoire. 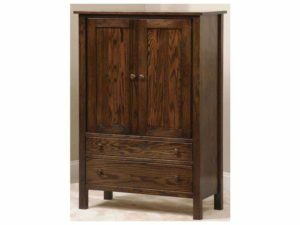 The collection of child armoires above from Brandenberry Amish Furniture gives you several great options for extra storage in your child’s room. Here are some reasons our child armoires are superior to pieces you may find elsewhere. Superior construction. Using the highest attention to detail, Amish cabinetmakers painstakingly handcraft each armoire. And they use solid Midwestern hardwoods. Like cherry, hickory, maple and oak. So the pieces are incredibly sturdy. In fact, with proper care, the armoires should stay in great shape for generations to come. Safety. We know you want to keep your family safe. This is why we use child-safe varnishes that meet all ASTM and safety product standards. So you can enjoy peace of mind knowing your child’s furniture is eco-friendly. Great features. We equip every armoire and chifferobe with a trove of user-friendly features. Like dovetailed drawers for extra strength. Plus, full extension drawers give easy access to every corner of each drawer. Also, adjustable shelves give you maximum flexibility in allocating storage space. Eye-catching designs. You can choose from a variety of styles, such as traditional, cottage, mission and contemporary styles. 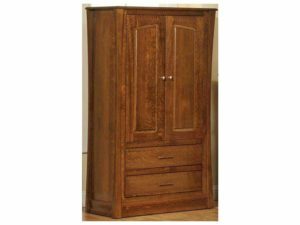 So you can get the armoire that best fits your tastes and home décor. Full customization. With a variety of custom options available, you can make your children’s armoire uniquely yours. For example, you can select the wood species and finish. You could even go for a white armoire with drawers.